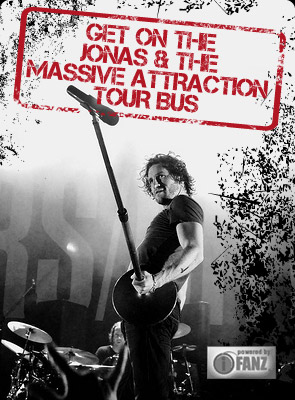 After two AMAZING years, Jonas & The Massive Attraction will perform their FINAL show of the BIG SLICE TOUR on Friday, December 21, 2012 at 8:00 Pm at one of their fav clubs, the Top Shot in Lachute, QC. If the world’s gonna end on December 21 as they say, let’s ROCK out together and PARTY like there’s no tomorrow!! Get YOUR TICKETS NOW by calling the Top Shot at 450-562-5532!